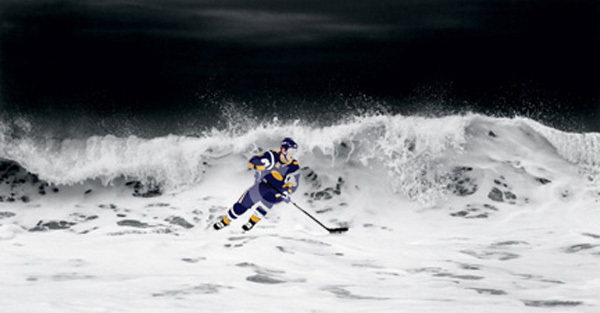 Mental training for hockey is devoted to helping hockey players and coaches reach their potential. It will also teach players to enjoy the game more. I want to help players use their passion for ice hockey. So it should be no surprise that the psychology of hockey is an area I have focused on for years. I’ve worked with professionals, college and youth players on the mental game. My approach as always is on both the cognitive and emotional level, it revolves around what you say to yourself while playing hockey. It’s a solid approach. I augment cognitive behavioral therapy with other protocols. My focus is often on increasing self awareness through emotional intelligence and helping players understand their unconscious mind and the role it plays in success or failure on the ice. Come learn that mental toughness is a skill and not about how you fight on the ice or how hard you skate. Mental toughness is a skill, why not start learning today? This is an intense program with focus on emotional intelligence. Often the spotlight is on stress management and/ or confidence building. At The Mental Game we will cover all aspects of sport psychology for hockey performance so the player learns to control mind and body. The mental Game has a program for all levels of competitive hockey. Youth / High School, College, and Professional. I have taught this workshop since the early 80’s at several Universities and out in the community. This is an intense workshop focusing in on coaching from psychological viewpoint. The course can be tailored to the needs of a club or association. Focus is on performance and youth development. Seminars on youth sports for parents and/or coaches by arrangement. I have a wide range of individual and team programs. SKYPE sessions, office visits, at practice and competitions and workshops. I have worked with teams via SKYPE all over the country. I work with the player(s) and their coach. I have always encouraged a team approach. I can help you play better. Here is what we call the value proposition in hockey. Look at how much time you spend on private training, fitness and practice. I can help you with your performance Now. Please look at what it means to you to accelerate your learning curve and start playing better hockey today. Team sessions via SKYPE or on site. I would be happy to do a team weekend. What is the Mental Game?